For those of you in Chennai, head over to the Hippocampus centre on Saturday, March 3rd at 11:00am. They are delighted with the book and are holding a dramatised reading of the book for an Icky, Yucky Mucky Holi followed by activities conducted by them. 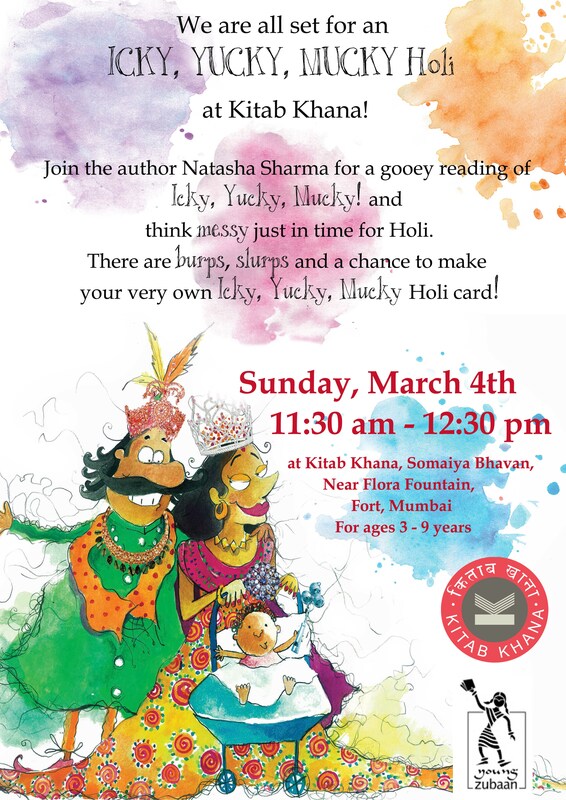 Mumbaikars, we in the meantime are looking forward to many of you joining the author Natasha Sharma for an Icky, Yucky, Mucky Holi reading and activity at Kitab Khana bookstore at Fort on Saturday, March 4th at 11:30am. Time to go splotchy! Review by Young India books that has us positively drooling with joy! 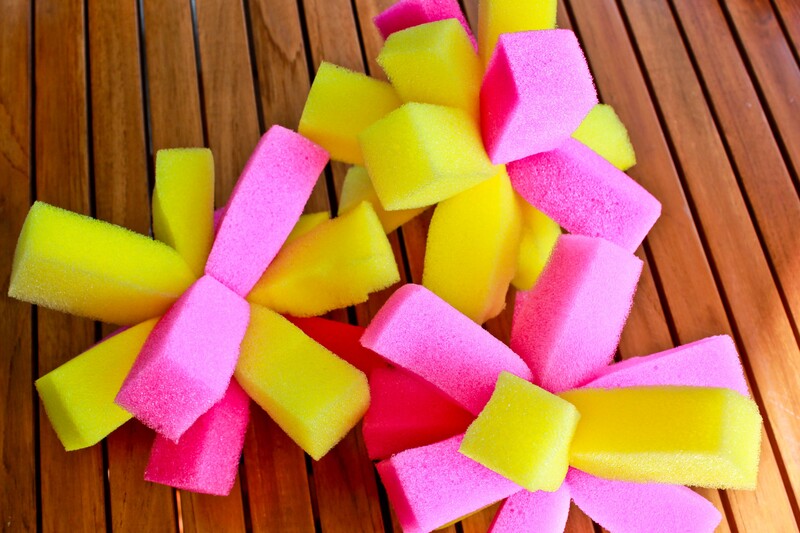 “Any child who has been pulled up for being messy is going to love this story. 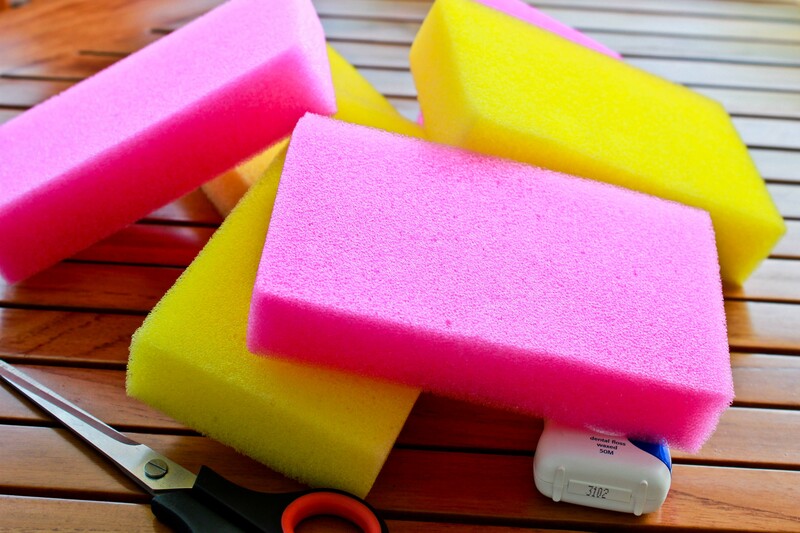 Kitab Khana bookstore to get Icky, Yucky, Mucky in time for Holi! 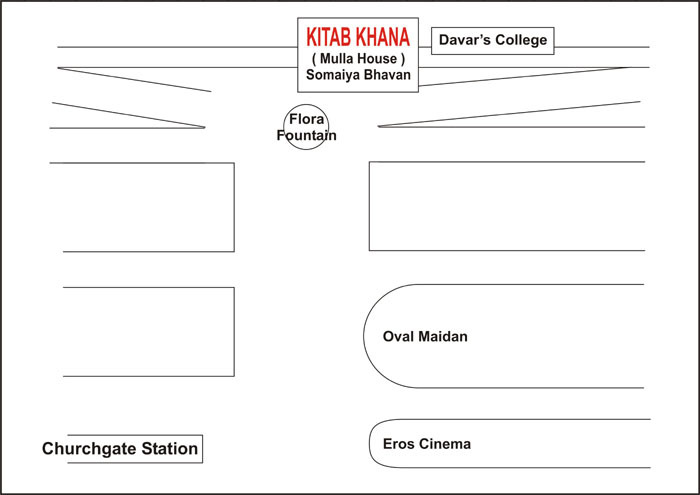 Please note the change in date for our dramatised reading at the Kitab Khana bookstore to Sunday, March 4th, 2012 (instead of the Saturday March 3rd). The reading begins at 11:30am. Thank you to everyone who attended our launch reading at Kala Ghoda! Maharaja Icky is sighing and burping with happiness at the wonderful launch reading of Icky, Yucky, Mucky at the Kala Ghoda festival in Mumbai this weekend. With a 100 children in attendance and parents in tow, it was most certainly a feast for the eyes and ears. The author Natasha Sharma did a dramatised reading of the story, accompanied by Madhuri Kudva in the role of a wonderfully disgusting Maharani Yucky. The two burped, slurped, nibbled and chewed their way through the reading with gooey sound effects in the background. Many a child giggled and grimaced and many a parent squirmed in their chair! The kids let their creative juices flow as they made lovely splotch monsters and wrote and drew some icky, yucky, mucky stuff on the board. A big thank you for all who attended and made it such a special afternoon for us. Our apologies to the ones who were unable to get their copy once the books sold out at the bookstore on site. Do click on our “Buy the Book” section for details on where you can get a copy. For those in Mumbai who were unable to join us, our next session is planned at a lovely, lovely bookstore – KITAB KHANA AT FORT ON MARCH 3rd, 11:30am onwards. We look forward to seeing you there. We’re going splotchy with the wait to Kala Ghoda! 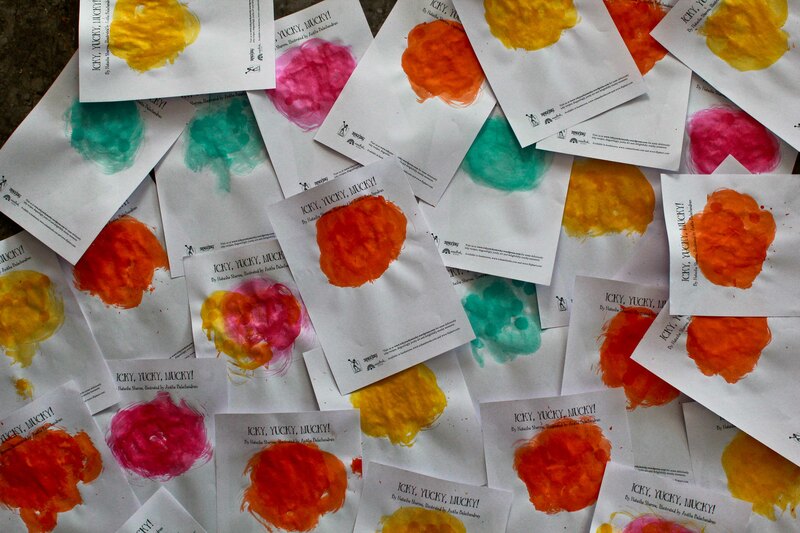 We’ve gone completely splotchy in anticipation of our reading of Icky, Yucky, Mucky! at the Kala Ghoda festival. Here is a sneak peak at the action behind the scenes. Next to Westside department store, Kala Ghoda, Mumbai.